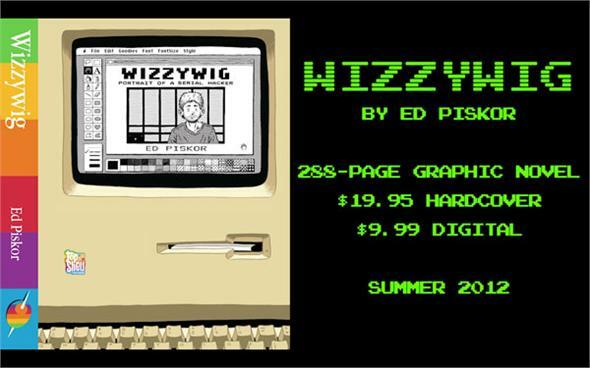 I reviewed two of the three books that Ed Piskor did that now comprise “Wizzywig“, which I believe has been collected by Top Shelf into one book. And they did a promotional video for it so take a look at it. Hmmm. Here’s the thing: I love those “Wizzywig” books but I wouldn’t have liked them with the kind of old skool hip hop soundtrack that you pick here. Yes, it’s very instructive as to what kind of book people are going to read, almost like a nursery rhyme read by angry black men. But there is better music than Run DMC and the Beastie Boys. Really there is although Piskor clearly loves classic Hip Hop. I mean that Prefuse is a nice boy and he does contemporary music that more fits a fact based fictional history of the American hacker movement. Just an opinion.